The benefits of finding foods for your hair is that you can either eat it (besides the baking soda and aloe vera), or put it on your hair as a shampoo or conditioner. Avocados are packed with healthy nutrients and can make a tremendous difference to dry and brittle hair. It also adds a shine and body to dull hair, and has brilliant hydrating and nourishing properties. (It’s also delicious to eat, so be sure to have lots of avocados!) 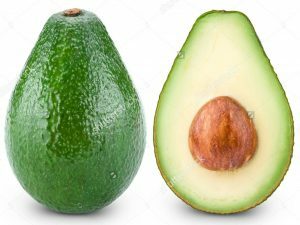 To make this mixture, scoop avocados out and mash well, then add lemon juice, water and/or olive oil. Cover your hair with it for about an hour before rinsing. 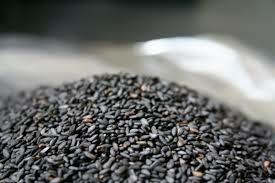 Using black sesame seeds to restore black hair is a method from traditional Chinese medicine. Sesame seeds are known to prevent premature aging of hair, with its rich vitamins and minerals, sesame seeds can help keep hair black, lustrous and revitalised. So, if you’re suffering from hair turning grey, try eating more sesame or using it as a paste for your hair. Be sure to grind the sesame seeds before eating or mixing it as a paste. 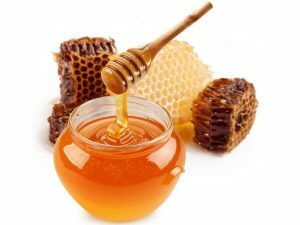 Honey have a lot of vitamins, minerals and antibacterials. With its insane amount of healing properties, putting honey in your hair will benefit it greatly, restoring damage on the hair and making it healthier and shinier. However, to actually use honey without a great, sticky mess, combine it with olive oil or the conditioner you’re currently using. 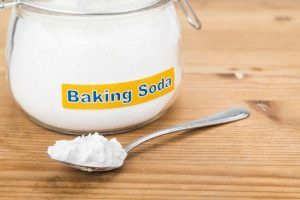 Baking soda is an excellent way to clean your hair. Perhaps, it can even clean it better than using regular shampoo. Since baking soda can even be used on apples to remove wax, which clings on those things like they’re hanging on the last thread of life, I’m sure they can remove dirt from hair easily. Use by mixing baking soda with water, then run it through your hair. Rinse with vinegar afterwards. 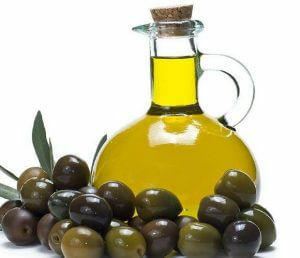 Olive oil can be used as a conditioner to nourish and moisturise the hair, making it shinier and smoother. It can also promote scalp health, and even preventing dandruff. Because of the high amounts of mono-unsaturated fatty acids and Vitamin E found in extra virgin olive oil, it acts as a wonderful antioxidant. To use olive oil on hair, combine half a cup of olive oil with honey or any other essential oil (on its own is fine too) and shake will, then after your hair is rinsed, pour olive oil into hair and massage well. Then, put a plastic bag over your hair to make sure the oil stays in for 20-30 minutes before rinsing and using shampoo. Aloe vera has over 100 nutrients that can do the hair wonders if you use it as a conditioner. Aloe vera can sooth and eradicate problems with the scalp, reduce dandruff, redness or inflammation, alleviate dryness and itchiness, as well as being able to fix many other skin conditions such as psoriasis and Eczema, and promote hair growth. Why wouldn’t you want this amazing plant on your hair? 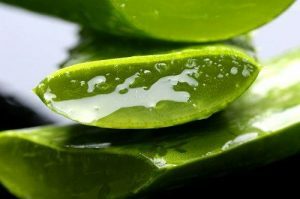 To use aloe vera on hair, cut around 2-3 thick leaves from an aloe vera plant and remove the thick green skin. Take all the jelly out and mix well. Use the jelly after washing your hair, making sure that the jelly saturates the roots and tips of your hair before rinsing. 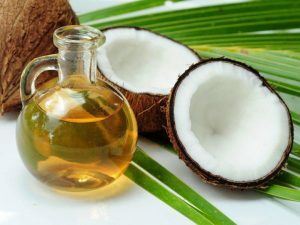 Coconut oil has been known to work brilliantly to combat fizzy hair, which is a sign of damaged, brittle or dry hair. Coconut oil has many nutrients that can moisturise, soften and preserve our natural proteins in the hair. Buy some Virgin Coconut Oil and apply it directly on the scalp. Massage into the roots and cover your hair with a cap or platic bag for an hour or even a whole night.